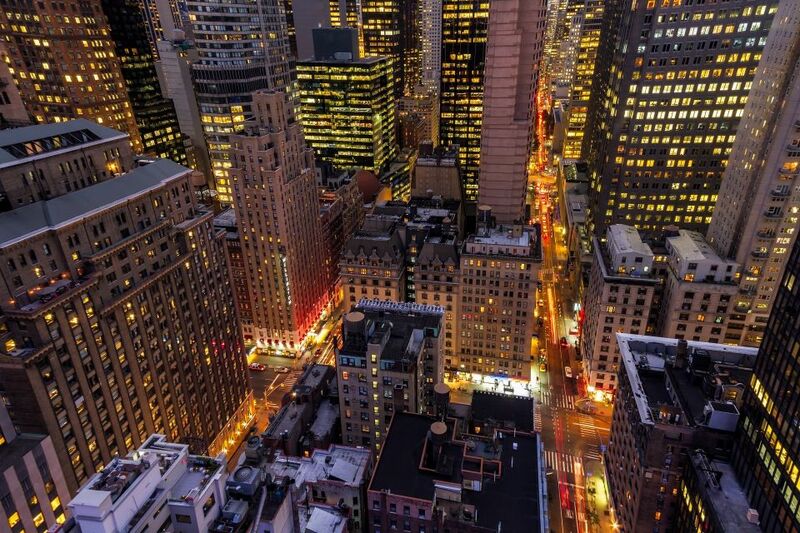 The streets of Manhattan light up at night as seen from the towering high-rise rooftops nearby. New York City is truly one of those cities that never sleeps. It’s also one of those cities that provide almost endless opportunities for an urban photographer. Never sleeps and it never gets old.